robut1 has no other items for sale. 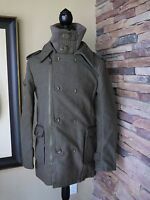 Superdry Regiment MILITARY WINTER wool Coat British STYLE US MEN'S S-M COOL! !